Lib Spry has worked in theatre for fifty years as a director, writer, educator, performer, popular theatre work and translator. She has chosen to work in an equal mix of professional theatre, popular theatre and as a teacher as she believes they feed each other. She is a specialist in non-traditional theatre forms: popular theatre, community theatre, site-specific theatre, theatre for young audiences, clown, bouffon, commedia dell’ arte, mask and other forms of physical theatre and is a recognized teacher of Theatre of the Oppressed. She founded three theatre companies: Theatre Agile (2011- present), Passionate Balance (1989-96) and with Shirley Barrie the award-winning Straight Stitching Productions (1986-96). 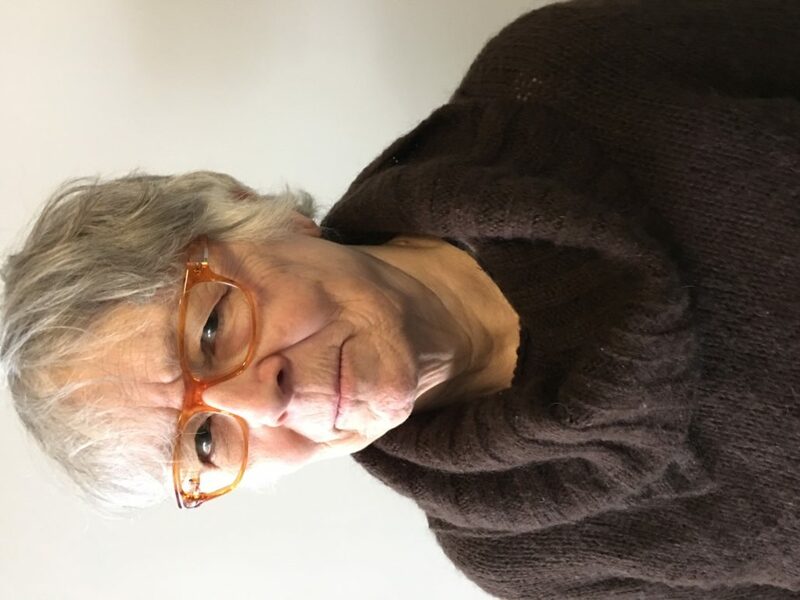 Although, at the age of 71, she is presently doing a PhD in Cultural Studies at Queens University on decolonization, Lib has been involved in the creation , direction, and performance of several plays around the issue of old age. This includes Anusree Roy’s Letters to My Grandma for Teesri Duniya Theatre; writing and performing her solo show Trance For Matron – a one-woman show for old woman, objects, memories, desires, anger and zimmer as part of the 2013 Montreal Fringe; devising and directing She Can’t Hear Me on ageism with seniors and high school student; and a vaudeville entitled We Are Old! We are Wonderful! with RECAA (an organization for seniors. Her role in ACT is to create several short videos, using the character Eadeg, that she created for her one-woman show, to instruct seniors how to use smart phones and other technology.